The EYLF planning cycle is a process of professional observation, planning and evaluation used by early childhood educators to assist in developing high quality early childhood education programmes for children. 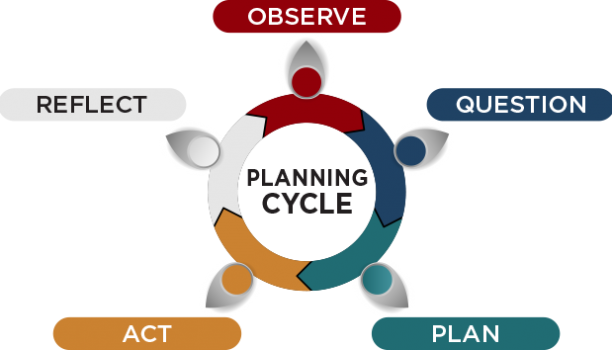 This cycle is often referred to as the five steps of the planning cycle. Act/Do – putting the plan into action. Want to automate the Planning Cycle? The real purpose of the EYLF planning cycle can become lost when the pedagogical significance of early childhood documentation is reduced to simply following this as a one through five step process. Though each step in the process is equally important, these steps may sometimes be repeated before to moving to the next, and the cycle should continue on rather than end at evaluation. It is important that early childhood educators truly understand the essence of the EYLF planning cycle and what each aspect of the cycle is designed to achieve. A deeply meaningful planning cycle is fundamental to the creation of high quality early childhood education programmes. Prior to engaging in the planning cycle’s first step of observing, educators need to have a deep understanding of the Early Years Learning Framework (or alternative learning framework used by the service) and of child development theories. This provides educators with an appreciation of the purpose behind the planning cycle. The learning outcomes provide a framework of learning to be documented and offer an insight into what this learning may look like in action. With this knowledge, written observations become an invaluable way of truly understanding each individual child within each group. 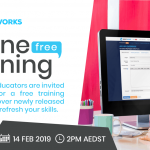 EarlyWorks includes a range of tools designed to assist educators in not only evidencing a planning cycle, but also in gathering detailed learning and development information about each individual child. This information is used to generate useful reports that support educator’s understanding of a child’s learning and development journey over time. In EarlyWorks, detailed observations of individual children or groups of children are recorded in the narrative of an observation or journal. Educators select the observation style from a list including: standard observation, anecdotal record, running record, learning story, jotting or time sample. Educators also record the analysis of learning within observations or daily journals as a reflection of learning. This is where educators consider the learning that they have observed and analyse this information prior to planning for the next steps. Educators record this reflection in their own words and then create links to the learning framework by selecting the observed outcomes for each child. This selection is made from a predefined personalised list of learning and development outcomes. Educators record the reflection of each individual child’s learning and development using learning journey comments. Learning journey comments are grouped into a printable report called the child’s learning journey. This report groups comments in chronological order per outcome, showing a progression of learning over time. For more information on Learning Journeys, visit the Learning Story Observations information page. 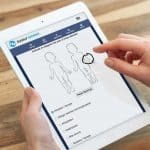 Observations and journal entries automatically add to a child’s online portfolio so that educators are sharing the learning and development of children with families. Families are invited to provide feedback through recording comments which can also be used to inform the creation of educational programmes. Quick comments or notes can be recorded on a child’s file to be reflected and extended upon at a later time by adding a child comment. These comments can be made visible to families or remain educator only comments. If educators choose to reflect and extend on these comments later, this is done through clicking on the extend button which converts the comment to an observation. It is through the first two stages of the planning cycle, observation and analysis, that educators are able to gain insight into a child’s cultural and social background, gifts and strengths, likes and interests. The purpose of recording and analysing what is seen and heard is for educators to reflect and make meaning from what has been observed. This information is used to plan rich learning and development opportunities for children.Through understanding the learning framework and child development theories educators are able to notice the different types of learning that occur. Sometimes it is useful to begin with a more focused approached; when educators have a focus for their observations, such as to understand how a child interacts with others, knowing when to record observations and what to record is more clear. A focus point can be particularly beneficial for educators who are new to the profession. >Educators may find that multiple observations need to be recorded in order to have a clear understanding of the child’s development and disposition. Enough information needs to be gathered so that educators truly understand the learning that is taking place so they can best plan to extend and enhance children’s learning. These observations can take many forms such as brief jottings, transcripts of conversations, learning stories, anecdotal or running records. Observations of children’s learning and development can be recorded within EarlyWorks through observations, daily journals, learning journey comments and child comments. The educational programme is where educators document their planning for children’s learning and development based on the relevant learning outcomes, child interests and/or the analysis of learning that has occurred through observations. Using the information gathered from observations and analysis, educators make a professional judgement on the best course of action that will encourage and support children in their learning and development. Educators may plan for the child to revisit a particular skill, or encourage a child to attempt something new. Educators’ planning will also include aspects of the environment as well as routines and transitions. Planning is evidenced in EarlyWorks through recording a next experience in an observation or journal entry. EarlyWorks will then transfer this information into a new experience for the program where the educator is able to select intended learning outcomes and areas of the National Quality Standards if relevant. EarlyWorks adds a written reference to the observation or journal entry within the planned experience and displays visible links on the program experience list showing the observation and analysis that the experience has come from. If the experience is educator initiated, based on family input or community events, educators are able to add to the programme without an observation or journal entry. This is also shown clearly on the program. The end result is a documented plan that provides a basis for the next learning experience from which new observations can be made. Evaluation is where educators reflect on what worked, what didn’t work, what learning took place, and how to continue to support learning. Evaluation is another form of observation as educators are observing the results of their planning. The purpose of evaluation is to support ongoing professional learning of educators and to continue to inform the programme. Evaluations, just like observations, need to be meaningful. The planning cycle is ongoing and ever evolving with the changing needs of the children. Within EarlyWorks, educators can choose to record evaluations of planned experiences by entering this in to the evaluation section of the experience or by creating a new evaluation styled observation. To utilise an observation as the evaluation of an experience (or range of experiences), educators select evaluation as the observation style and create a link to the experience through the experience observed tab. This tab displays the names of all experiences from the programme and educators select which experiences are being evaluated. By creating this link, EarlyWorks includes the evaluation box in the observation list screen to assist educators in seeing a visible planning cycle as it evolves and expands over time. The EYLF planning cycle is an incredibly valuable tool in developing early childhood educational programmes. Understanding the purpose behind this cycle gives educators a solid foundation on which to grow as professionals.